Closeouts. 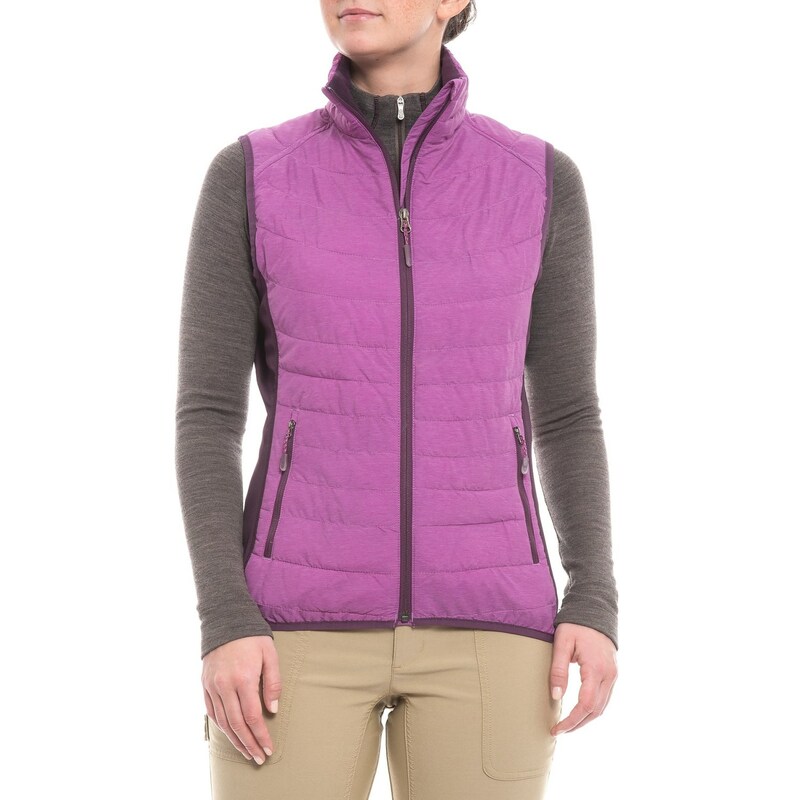 White Sierra’s Zephyr vest balances core warmth with mobility, offering insulated, quilted comfort in front and back with stretchy fleece panels on the sides. A fleece-lined, insulated collar ensures no warmth escapes around your neck and shoulders, and the elastic trim comfortably keeps warmth from escaping at the sides and bottom, too!